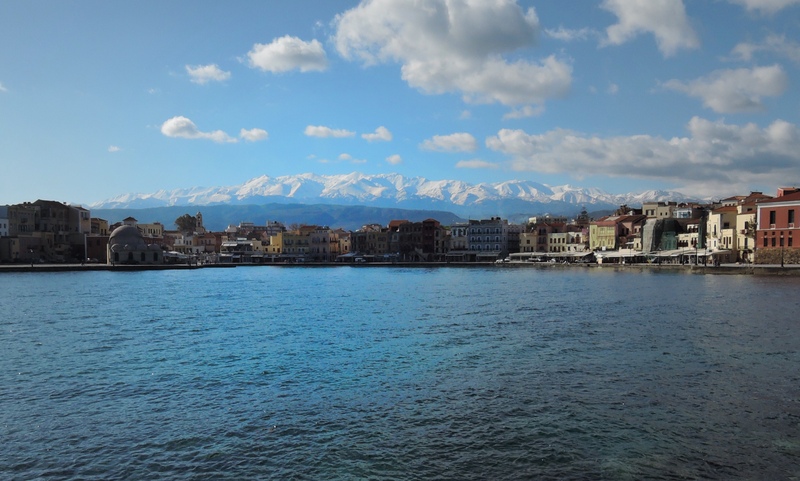 Is it Chania, Hania or Xania? Lets start with the Italians, or to be more precise, the Venetians….but before they got here in 1252 , the place was ruled by the Minoans, (this was in 3000 BC!!!!) then much later by the Arabs, then the Byzantines…..then the Welsh …… Anyway, right up until 1645 or thereabouts, when the Venetians ruled here, it was known as Cania, and to the Ottoman Turks, who took over from them, Hanya. When the Greeks eventually kicked out the Turks around 250 years later, in 1898, (what took ’em so long) they re-named the city Xania. End of history lesson for today, but from now on I’ll also call this place Xania…. So if you’ve read this far you’ll now realise that Xania has had a very long and interesting history. It was pretty damn cold outside the Athens Way Hotel at 7:am on Friday morning, waiting for Pagniotis, our friendly Athenian cab driver, to take us back to the Airport to catch our Agean Airways flight to Crete at 9 in the morning. I’m not used to getting up so early, especially after getting to bed so late. The previous night YM and I had walked down to Exharcia Square looking for a likely place to have dinner. It was already late by Australian standards, but in Greece dinner starts no earlier than nine-ish. 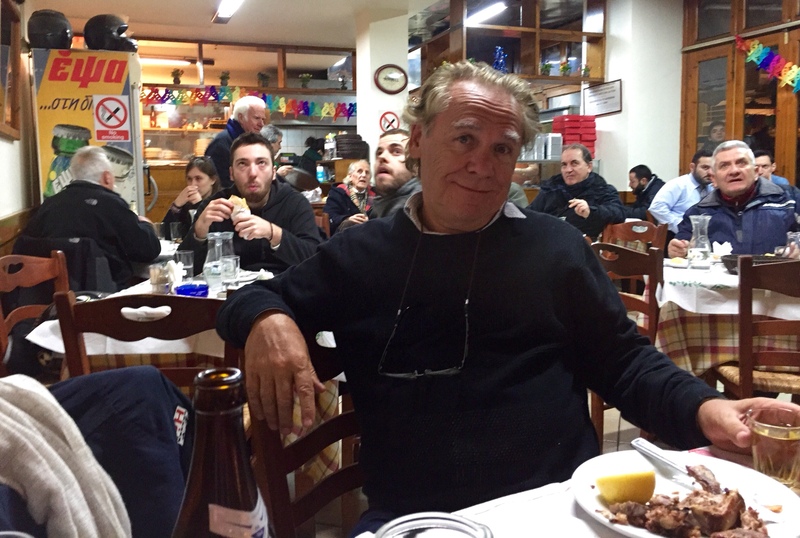 ”Ta Agrafa’ was a small ‘Psistaria’, or Grill restaurant, packed with a motley bunch of patrons, and so took our fancy…… I mean, it can’t be too bad….it’s certainly popular. It was your typical local ‘joint’, not even a bit touristy ( this is Excarchia after all!) …. As we entered, most of the ( male) clientele looked away from the soccer game on the big television in the corner, to eye up the two Xenos (foreigners) who had come in, with most eyes focussed on Yineka-mou. Well, maybe she was a little overdressed for the occasion, and most certainly stood out from the only two other females in the joint. 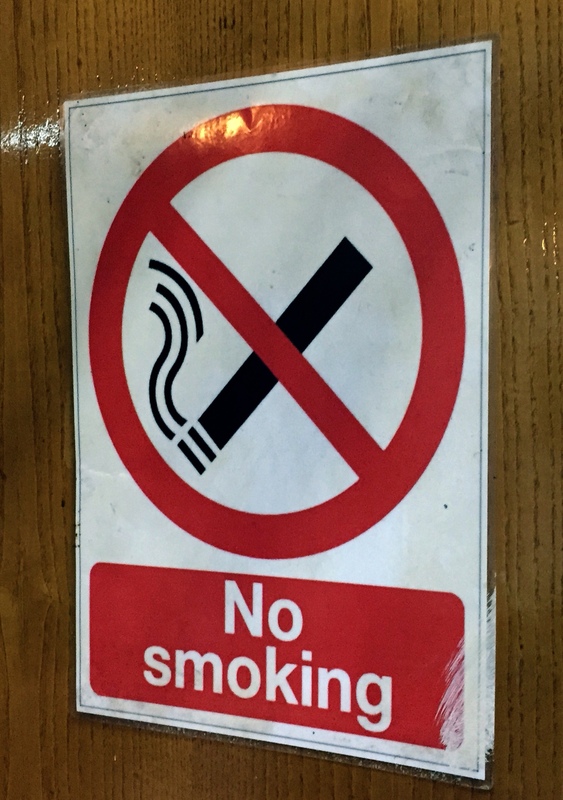 I was under the impression that new laws prohibited smoking in restaurants in Greece, and the prominent ‘NO SMOKING’ signs displayed on every wall and column in the restaurant would indicate this. Maybe it was because the signs were in English, that the patrons didn’t understand the regulations, or maybe it was just because this is Greece…. and Exharchia….. and here they are brought up to iignore and disobey silly petty rules. Whatever the case, we seemed to be the only people without a cigarette on the go. is it because they cant read English? Olympiakos, the local soccer team, almost scored a goal, ( almost) and the majority of the men’s eyes went back to looking at the TeleVision. As well as the seated patrons at tables, the restaurant also had a thriving takeaway business, and both YM and I found it most interesting watching the constant coming and going of the eclectic, mostly male, clientele. We ordered some ‘mezes’ to start…. a plate with olives, taramasalata, tsatsiki etc, followed by a couple of sticks of chicken Souvlakia, Patates Tiganites ( chips) Koriatiki Salata (greek salad) and Psomi ( bread). Not gourmet, but delicious nonethless ( especially the chips and the bread!) and cheap…. the service was friendly….. and the ambience, well smokie and very interesting. It was quite late when we left , but the streets were still crowded….with mostly young people….. and yes, I know that most people could be classified as younger than me, but I do mean ‘young’, young people, students by the look of them, as this is nearby to the Athens Polytechnic. 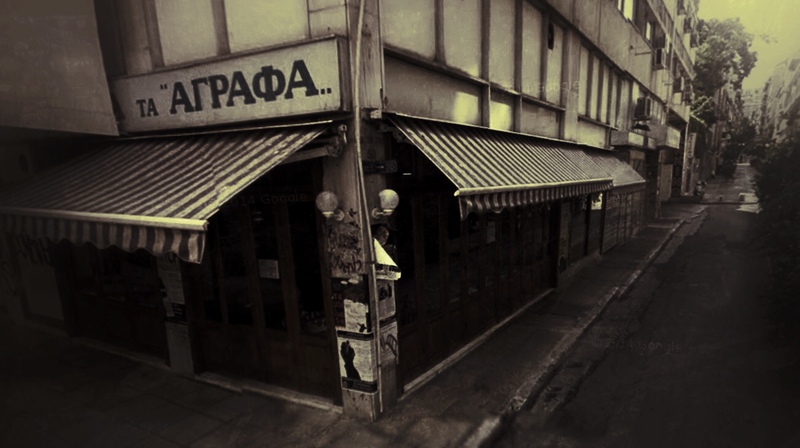 (By coincidence, I recognised the bar opposite our eating place as the self-same bar that I’d spent a few hours at when I was in Athens with my yachting mates Billy, Pete and Greg a couple of years ago ) Now even though you hardly ever see a cop in this area…..the police don’t like to go to Exarchia except for extreme circumstances, because for them just to enter the neighborhood causes trouble…… I never felt threatened in any way, and would rather walk these streets late at night than walk around Northbridge at this hour ! 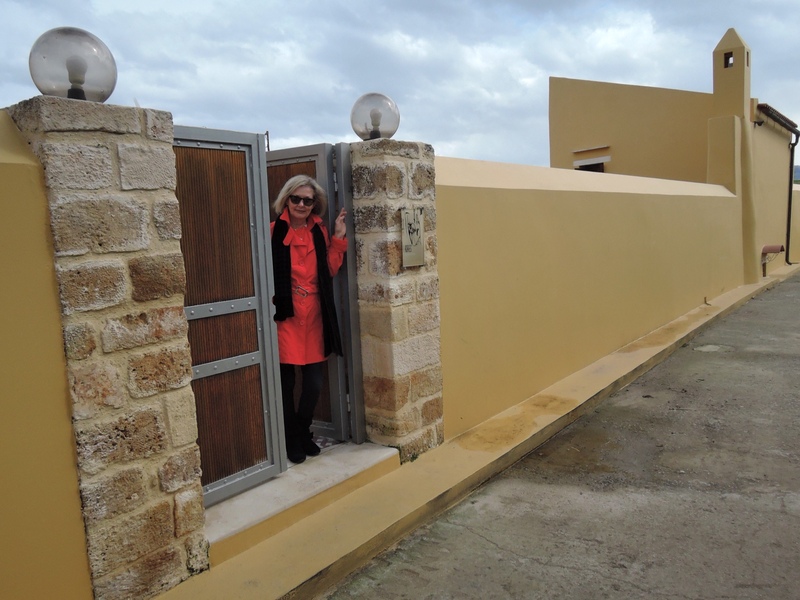 We arrived safely back at our hotel, ‘Athens Way’, and the receptionist politely enquired as to where we had been…. she seemed quite concerned when we told her. Innocents abroad maybe! At the airport, it was more than even the usual chaos… as it’s the start of a long weekend, the flight was fully booked, with not a spare seat available, probably. 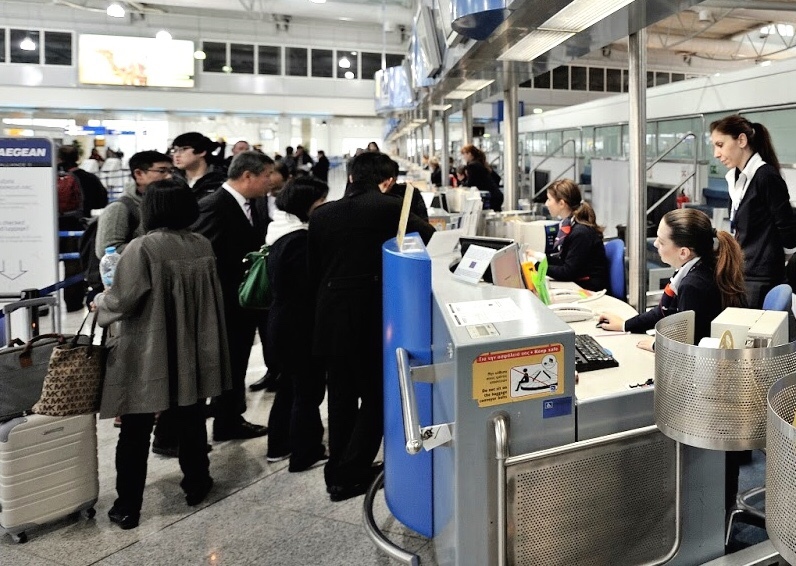 They even made an announcement to ask if people would please check-in their hand baggage, at no extra charge, to enable it all to fit in the overhead lockers. ( I didn’t notice any takers!) It’s a public holiday on the Monday, and the last weekend of Apokries, the 3 weeks preceding Lent. Sunday is Carnival day and Monday, the public holiday, is known as ‘Clean Monday’. It’s only a short flight on our Agean Airways aeroplane, just 35 minutes, and we are no sooner settled in to our seats, and looking forward to a quick snooze, than we are landing at Xania Airport….. not even time for the ‘hosties’ to serve you with a cup of coffeee or tea…… I do believe the cabin crew may have been trained by Qantas, as while the plane was descending they quickly sped along the aisles throwing packets of biscuits into the laps of all the passengers! ( however, to be fair, they did make an announcement apologising for this, and informing us that it was not up to their usual standards of service….. what, they didn’t know that it was just a short flight beforehand?) 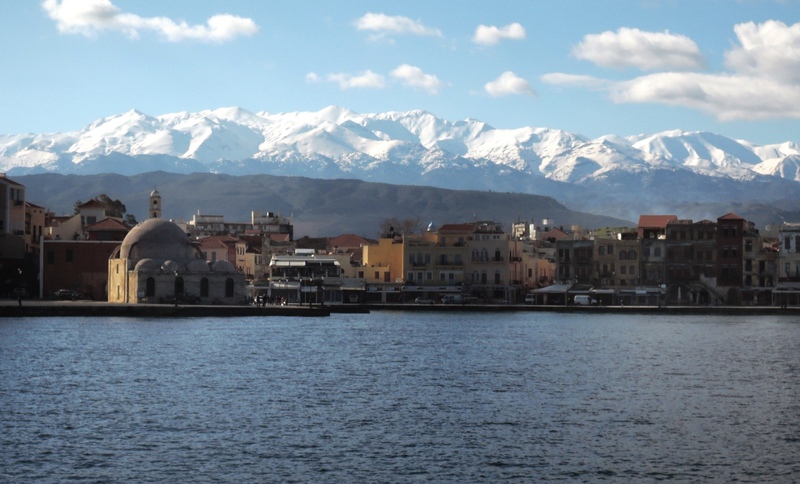 We are first off the plane, even though we were seated in the really cheap seats at the back, as they opened the rear doors first…….. it’s still pretty cold in Crete, but the sun is shining and the mountains in the distance are covered in snow. ‘Poly omorphi’ as they say here… ‘very beautiful’. I’d pre-arranged a taxi to meet us, and sure enough, Kiriakos was waiting outside the baggage claim area, to help us to his waiting cab. 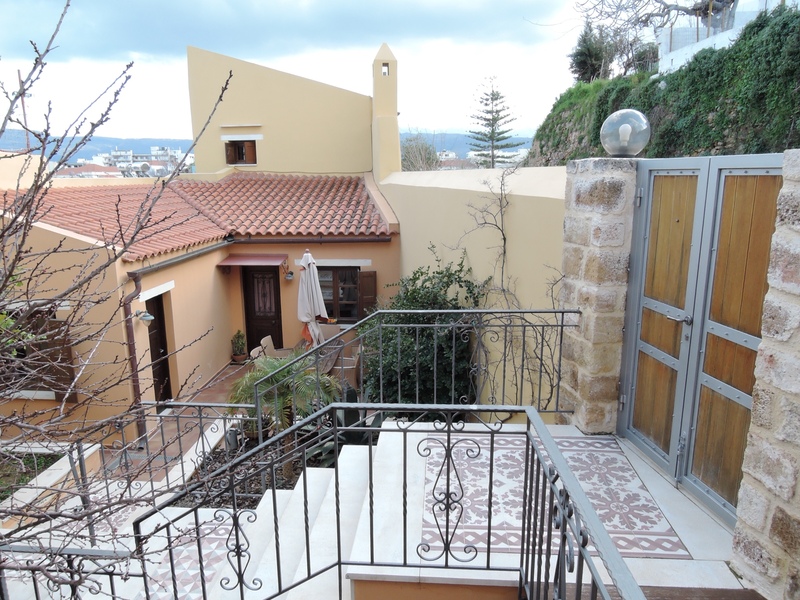 After a 20 minute drive, we arrive at our destination in the ‘old town’ of Xania. Well not quite at our destination, but as close as a car can get in the narrow lanes that pass for streets here. They certainly weren’t designed for automobiles when they were built a good few hundred years ago…. but are perfect for a donkey. Unfortunately, they dont have donkeys here these days, but we were met by our new landlord Yiannis. After introductions, he took YM’s luggage, and with me following with mine, we made our way along the narrow lane towards our new home for the next couple of months, Kores Villa He took us to the back entrance, a gate which is situated atop of the old Venetian fortified wall, and which leads into the garden. First impressions are positive, the place looks even better than it does on his website…. and when we enter the house itself, well I know I have made a good choice….. and as YM agrees as well, all is gonna be sweet. Kores Villa entrance from atop the old city walls..
Kores Villa via the back entrance.